At Care Shop, we offer a wide range of Lille incontinence products, so you can find exactly what you need to support those in your care. Browse our range below to stock up on everything you need to provide comfort and dignity. Lille Suprem pants are available in an extensive range of sizes and absorbency levels, so you can find an option to suit every requirement. These incontinence pants feature tear-away sides for easy removal, and users can fit and remove the pants themselves, promoting independence. Lille Suprem pants also offer quick absorption and are latex-free, making them kinder to the user's skin. 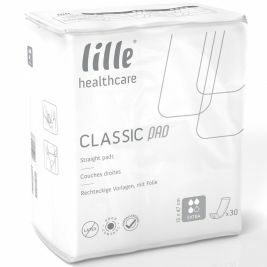 Our range also includes Lille incontinence pads, including Lille Suprem pads and Lille for Men. 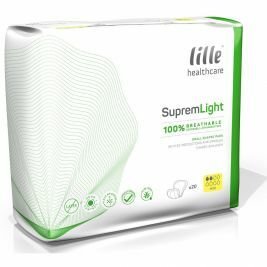 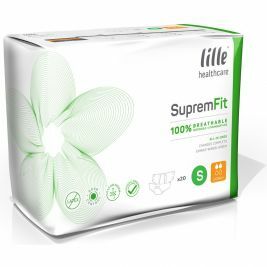 Lille Suprem incontinence pads are hypoallergenic and breathable for improved skincare, and with a range of absorbencies available, there really is something to suit everyone's needs. 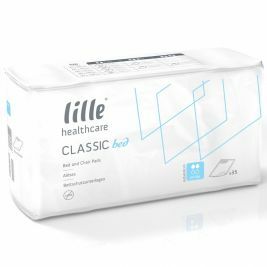 For those who need extra protection in bed, we also offer Lille bed pads in a variety of sizes, which can help to ensure a good night's sleep as well as reducing the amount of time spent on changing and laundering bedding. Explore our full range of Lille incontinence products below, or visit our continence care brands page to discover the other top brands available here at Care Shop. Lille There are 55 products.